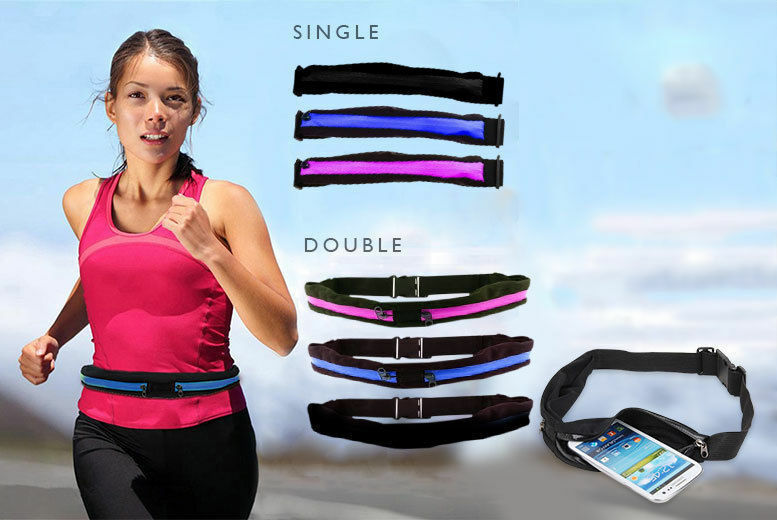 Get a handy smartphone running belt. Stow away your valuables in the spacious single pocket. Or upgrade to a double pocket for a little extra storage space. Choose from black, pink and blue! Fits 25”-46” waists and phones up to 4.5″ and is weather resistant! Keep your keys, phone, mp3 player, change and more safe.